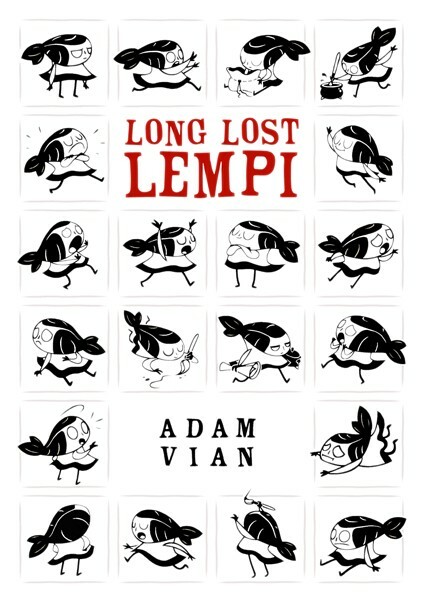 Adam Vian’s Long Lost Lempi is a whimsical piece of stylised fantasy that has most obviously been constructed as a true labour of love by its creator. When we join the story Lempi and her friends Ermin and Melisse are dragging a boat over land on a quest to find the ocean. Arriving at a solitary tower in this wilderness they encounter the building’s resident – a mysterious mermaid who lives in a cauldron, and discover that they have actually reached the sea but it has dried up. How can the girls bring the ocean back? Can they trust the tower-bound mer-lady? 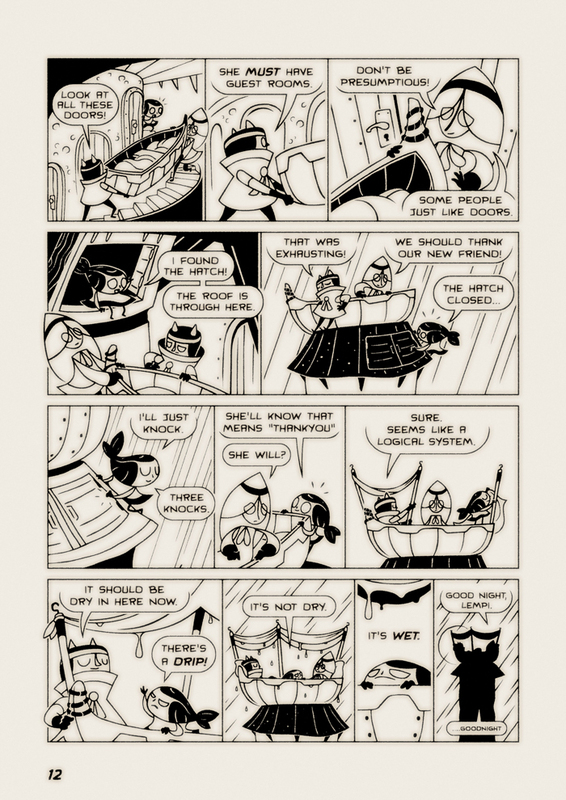 And if the waters do return will our heroines be prepared for the consequences? Long Lost Lempi has a pleasingly daydream-like quality to it. If you’re a fan of Luke Pearson’s Hilda series of children’s comics albums published by Nobrow Press then I suspect you will find much to like in this comic; there’s that same sense of wonder to it and that same childlike, gleeful sense of discovery about the world around her from its protagonist. Despite its intricate, tightly panelled pages it’s light in plot but that’s because its prime emphasis is on playful humour and providing what amounts to a diverting, all-ages flight-of-fancy. Vian’s character designs are simply gorgeous with an elegant and deceptive simplicity to them. You can see the author’s animation background influencing his work in that regard and I would love to see Long Lost Lempi making that transition because this story would be a visual treat on screen. As a physical object, as well, LLL is beautifully put together: the larger A4 size giving Vian’s busy pages a greater opportunity to express themselves and the careful selection of card cover and interior paper stock adding to the book’s tangible appeal. Sometimes you just want a comic that’s a fun distraction – some feelgood escapism that will make the world seem a little brighter on finishing it than it did when you started reading. The 20-odd pages of Vian’s Long Lost Lempi fits that bill to a tee so it’s pleasing to hear that he’s already hard at work on a sequel. 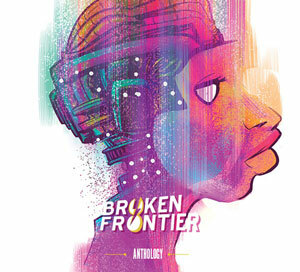 Enthusiasts of Nobrow’s Flying Eye Books imprint should be taking careful note of this rather endearing creation! 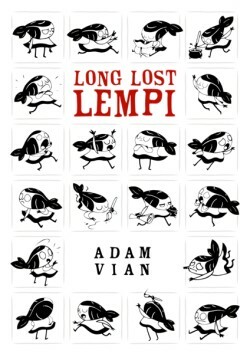 For more on Adam Vian’s Long Lost Lempi check out the site here where you can find details about ordering copies. 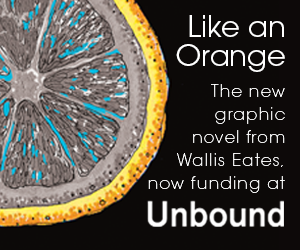 It’s gorgeously illustrated stuff Bart!